Effective Cost Per Mille (eCPM) is currently the most widespread metric used within the mobile advertising ecosystem for publishers to measure the performance of their ads. eCPM heavily depends on the interpretation of what constitutes a native impression. 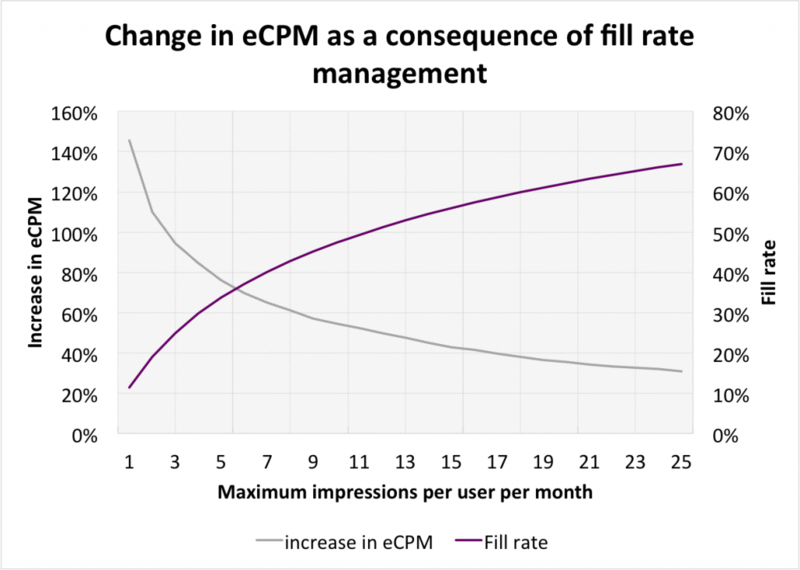 eCPM can be easily tweaked through the fill rate (as networks are able to serve only high value impressions). eCPM makes you lose focus on what matters as a publisher, which is maximizing revenue through a nice user experience (In the end what matters is not the impression, but how good the ad integration drives revenues from your user base while preserving their experience of the app). As was stated in an earlier PubNative blog post, the key feature of truly native mobile advertising is the fact that it is a flexible framework rather than a predefined format. This flexibility means that the publisher can integrate advertising within the user experience in a variety of ways: at different moments and frequency, through different triggers, with different custom formats, etc. However great this flexibility is, it comes at a price: standard KPIs can’t be standard anymore. When there is so much freedom in terms of how and when to show advertising to a user, the concept of what an impression means becomes blurry. Consequently, the eCPM can’t be used as a common metric to compare performance between different ad integrations. If you show a game list with five games, does it count as one impression or five? If the same ad is shown 5 times in 10 minutes within a social news feed, are those really five different impressions or is it just one? And if instead of every 10 minutes, it is shown every 3 hours? Is the “value” of an impression the same for a full interstitial than for an icon on a list, or an animated banner, or an ad in a virtual billboard inside a game? With the above in mind, comes the legitimate question: what does eCPM really tell us about performance when it entirely depends on how you define an impression? The second reason eCPM is a poor metric to measure performance applies to mobile advertising in general, not just native. eCPM does not tell a whole story by itself, as you need to compare it with the corresponding fill rate. The reason behind it is that networks can control how many impressions they serve by managing their fill rate, and can thereby “artificially” increase the delivered eCPM in the process. The second consequence of this phenomenon is that, as fill rate is sacrificed in order to maximize eCPM, total revenue also suffers. As part of the same study, we looked at the impact that managing fill rate had on total revenues for the publisher. We found that, all other things being equal (such as placement, frequency, format, etc), there was a positive correlation between revenue and fill rate. 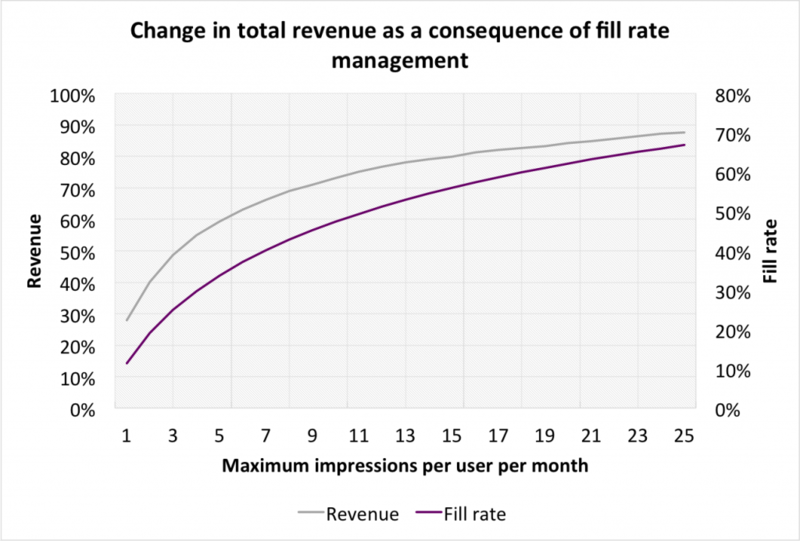 What this means is that every impression has a certain probability to generate revenue, and by limiting the number of impressions per user to artificially increase eCPM, we are effectively sacrificing revenue. What is then a more accurate way to measure performance, if the eCPM is out of the picture? Therefore it appears clearly that all efforts in native advertising should be measured by the Average Revenue Per Active User (ARPU) they generate. If we look at eCPM by itself, we would immediately support the full interstitial as the winner. However, if we consider how many “impressions” were collected, it’s clear that the volume of impressions might not be comparable at first sight. Yet, the perspective changes completely when we look at how many users were exposed to each format, and how much revenue per user each format generated. Considering the ARPU, and assuming that the test was carefully conducted so the conditions of the test remain comparable for all three formats, the game list is now our champion, with the news feed ad being a close second. The same situation occurs when we compare the performance of different networks. If our focus is on eCPM itself, then we don’t get the whole picture. And, if we include the fill rate, it really doesn’t improve the comparison because we now have to deal with the two metrics combined. However, if we look at the Average Revenue per User, we get a clear picture of performance regardless of how networks manage the fill rate. Summing up, if app publishers base their decision making on how much revenue per user their different efforts generate, they can effectively focus both on preserving their user experience and maximizing their revenue. Before joining AppLift, Miguel acquired ample experience in highly analytical roles by assisting several multinational clients as a management consultant in a wide range of sectors including: FMCG, Industrial Goods and Manufacturing, Food Products, ONGs, and the Public Sector. At Applift, Miguel is focused on developing a deep understanding of the factors affecting advertising effectiveness and user behavior. 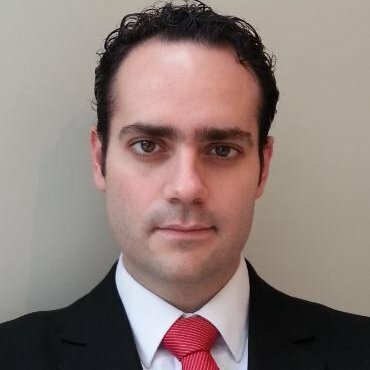 Miguel holds a master’s degree in International Business from ESCP Europe Business School and an engineering degree from ITESM in Mexico.